When you write about something active and emotionally bright, it is better to choose a laconic and strict form, just as the newspaper has. It is quite enough to add a few sharp pictures to the article about sports - other will appear in the reader's mind while he will be reading the text. 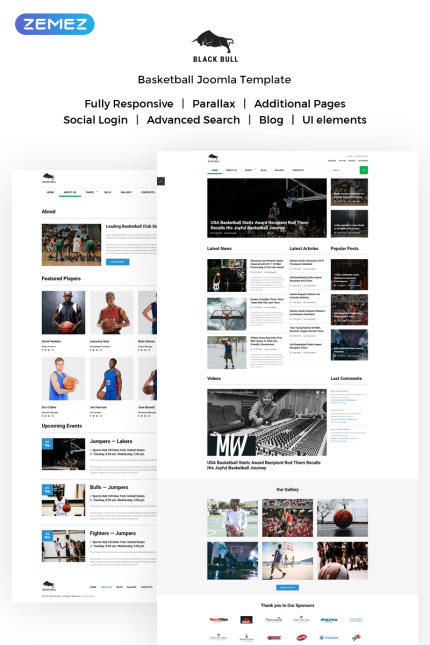 Black Bull Joomla template is designed to look like a newspaper about sports events. Black and white color scheme, with rare bright elements and eye-catching pictures - just what a sports blogger needs. The template has gallery and blog modules, so it will fit a reporter, blogger or a small news company.